At first glance this month's challenge seemed a little tricky but it was actually quite simple once it's broken down. Once I had my colour scheme and photos I simply pulled some bits and pieces from my stash to suit. 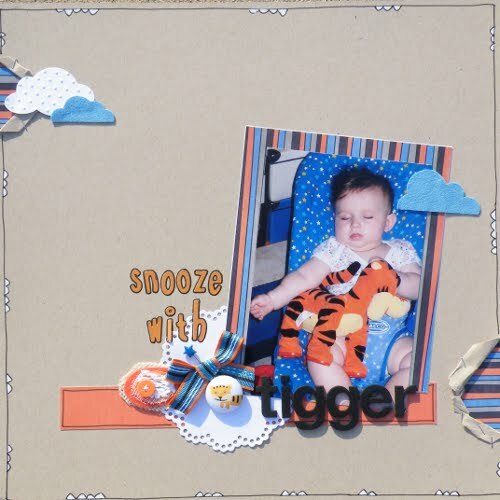 I made this entire layout from scraps! 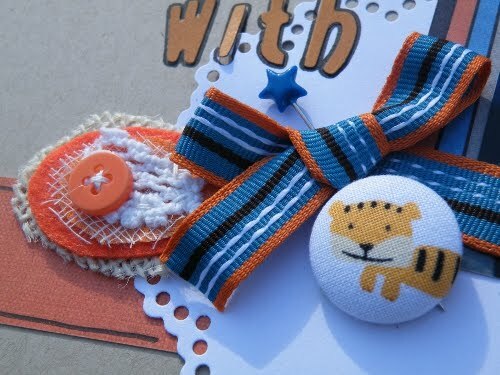 I embellished with a gorgeous lollipop from Charms Creations and a cute tiger button from Lovelybug Bits and Bobs.